Welcome to tasting notes from a monthly private whisky club in Mumbai, India. Alas as I’m in Jakarta, am missing our May session, so offer instead notes from last month’s session. As usual, we blind tasted samples before revealing the whisky. 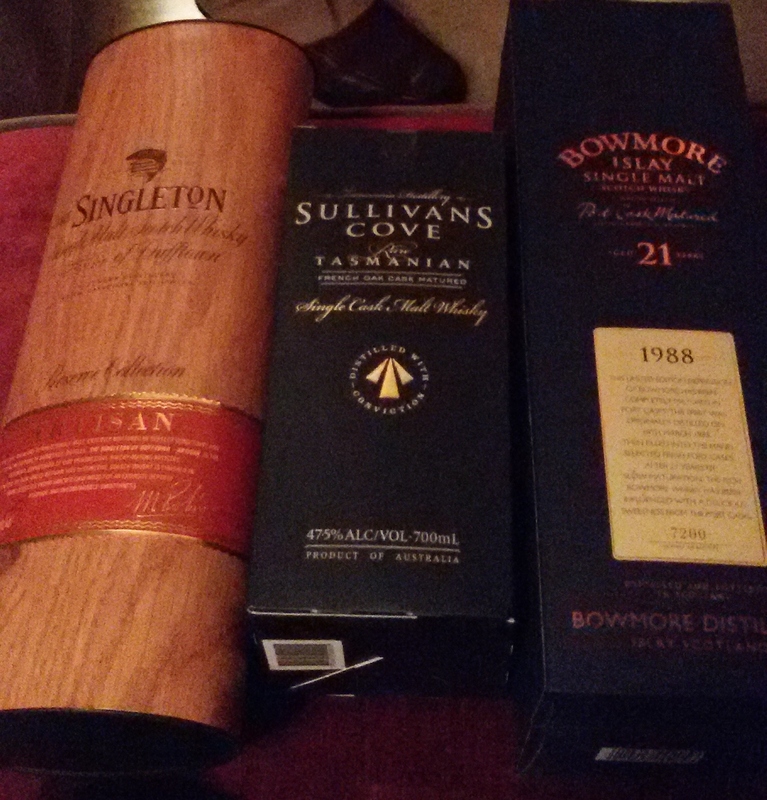 This month featured: Singleton Artisan, Sullivans Cove and Bowmore 21 year. It was another interesting evening with three distinct offerings! Lining up for some serious tasting! This offering was a good reminder to not dismiss airport offerings. Clear it has a higher alcohol content, speculated around 47 – 48%. Thought would pair fabulously with chilli chocolate. 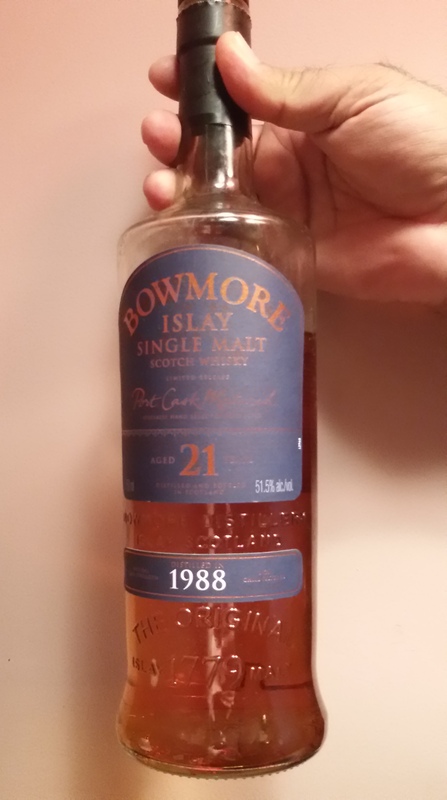 While must be a young whisky, had plenty of character. A remarkable find picked up by chance a year ago from Dubai duty free. Now thanks to its award winning status, near impossible to obtain. This Tasmanian treasure has no age declared yet clearly takes full advantage of the warmer climes speeding up the aging process in new French Oak barrels. A treat for the merry samplers! Colour – A distinctive ruby red – port cask? 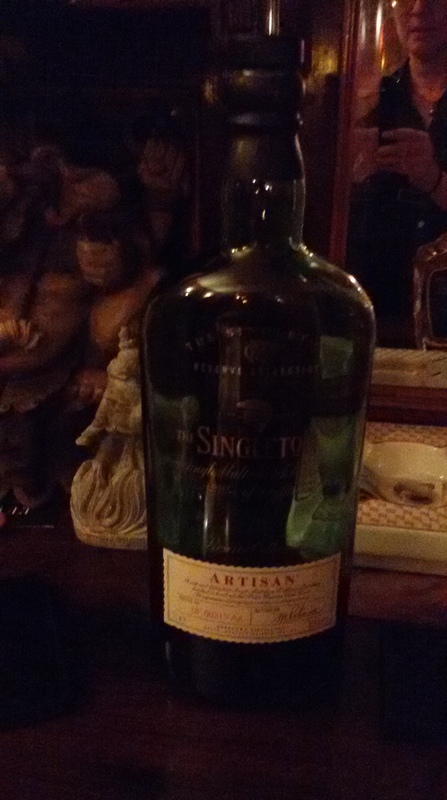 Much higher alcohol content than initially apparent, with the age and richness from the port cask clear. Definitely one to sip, savour and come back to again. 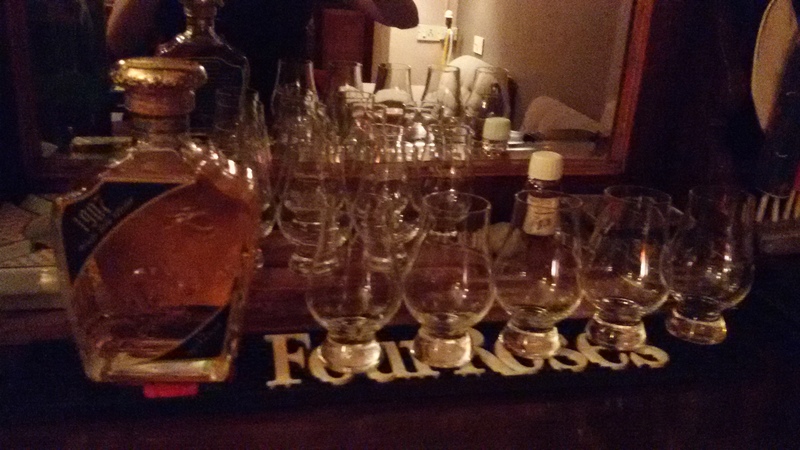 Another memorable evening with interesting whiskies to sample. Our Sullivans Cove contributor was generous in sharing a few extra drops of with our host donating sampler bottles so we could carry home goodies!! Yum!! I’m often asked – how do we acquire our whisky samples in Mumbai? The truth? Each member goes on a quest to discover something new to try. Into our fourth year, this is becoming increasingly challenging and requires advance planning. In the case of the Sullivans Cove, I had tried – very unsuccessfully – to obtain it via a Jakarta project cohort from Australia. My plan was to request it be brought from Australia to Indonesia and then I would take it from there back to India. This slightly round-about way of acquiring a dram was dashed when I discovered it was SOLD OUT at regular retail in Australia. Good thing another member had a full year earlier acquired it in Dubai! Now… just how fabulous is our group of whisky seeking souls? By Carissa Hickling in Whiskey, Whisky Reviews on May 15, 2014 . 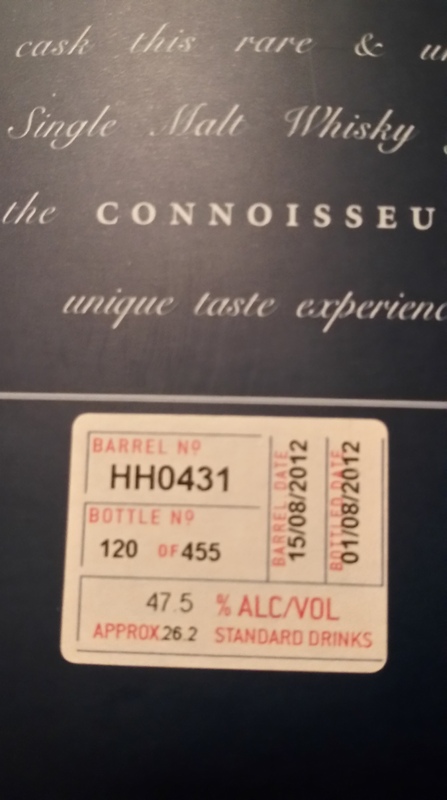 Nice to see your review of Sullivan’s Cove – Australia’s own world-class whisky! Always good to see some praise for the Sullivans Cove. Interestingly it’s such a small batch, single barrel type whisky that the next one they release may not be anywhere near as good – or it might be better! Which is an almost frightening thought!